Drystar all weather scooter or motorbike Parka in sand or green color. 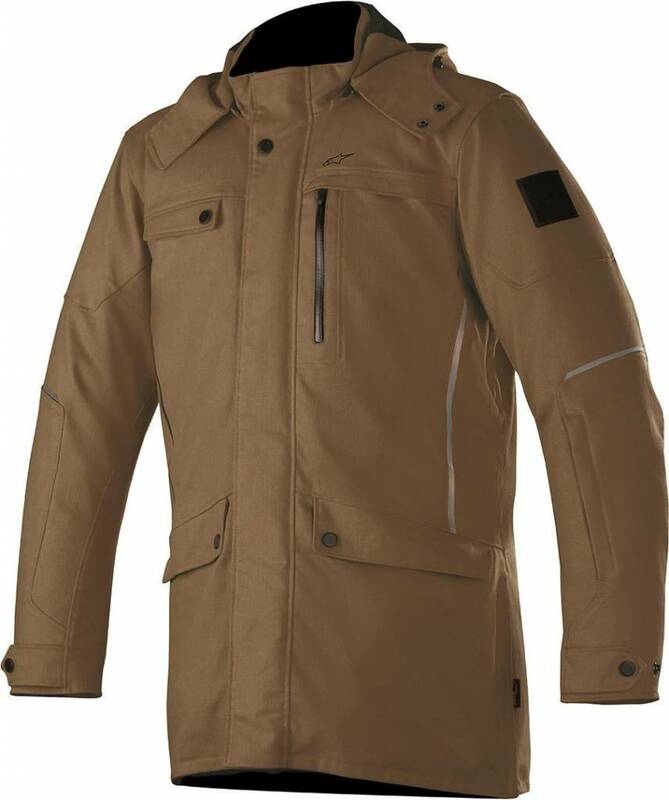 A sophisticated Parka-style overcoat that can be worn alone or over a business suit the Gordon DRYSTAR® incorporates Alpinestars’ proprietary 100 per cent waterproof and breathable membrane technology and a removable thermal liner to ensure maximum levels of city riding comfort whatever the weather. The Gordon Overcoat also incorporates class-leading protection with the ability to add the CE certified Nucleon back protector for additional protection. 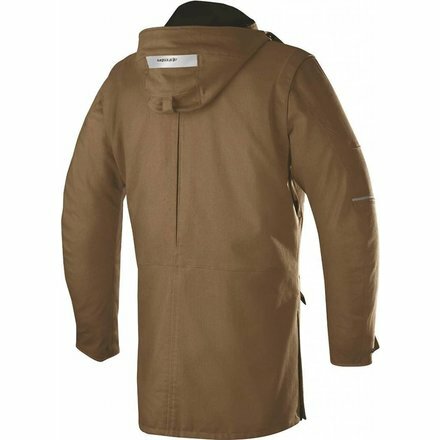 Elegant ¾ length Parka-style city riding jacket designed to be worn alone or over a business suit. 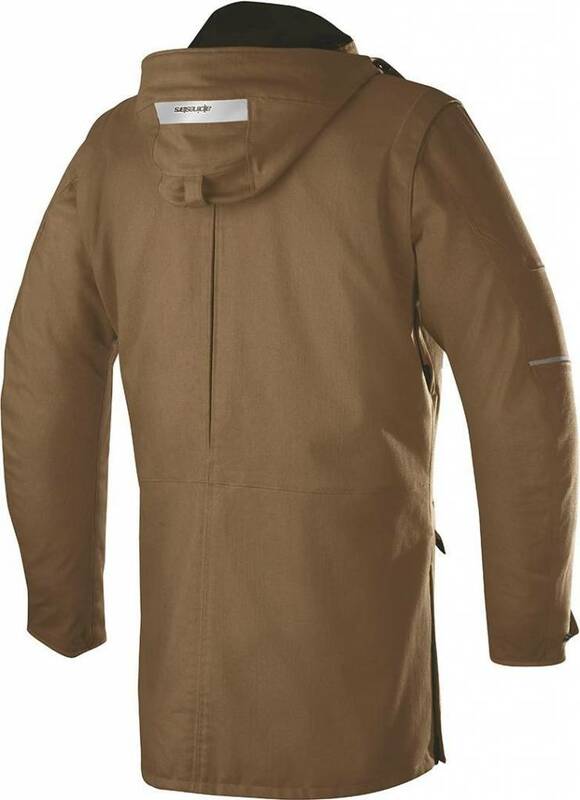 Water-repelling and quick-drying polyester / cotton shell and 100 per cent waterproof and breathable DRYSTAR® membrane. 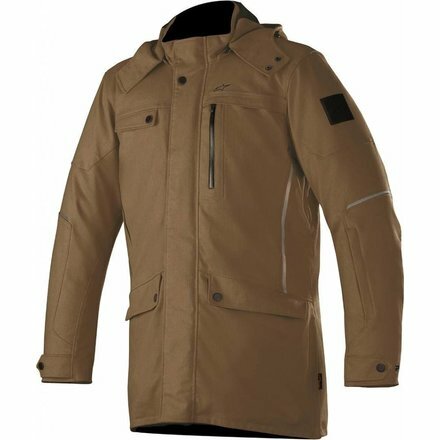 Removable, thermal full jacket liner (170g body, 85g arms) means jacket can be worn in cold climates. 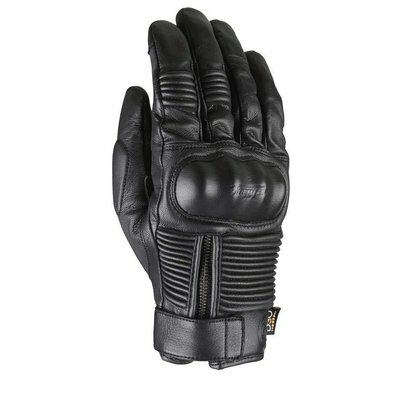 Removable CE certified bio light shoulder and elbow protectors for class-leading safety. Protectors are anatomically profiled to complement city collection styling. Back and chest compartment (CE certified Nucleon back and chest protector inserts available as accessory). Removable hood means jacket can be worn in variety of weather conditions. Rear loop attachment system to secure hood to the jacket. Back expansion gusset for comfort and maneuverability. Snap button sleeve cuff adjuster for close, safe fit. Internal waterproof chest pocket plus two front pockets for convenience. Interior chest pocket and internal storage compartments. Reflective print detailing to enhance visibility at night. Side ventilation on under arm with zipper offers personalized levels of airflow. Rear zipper expansion gusset for comfort on bike or scooter. Forearm and elbow double layer fabric.